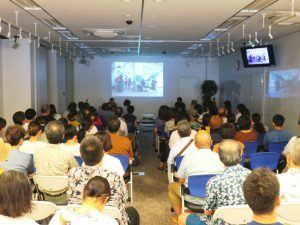 The ASEAN-Japan Centre organized an event titled “Isan music and Laos Travel”. 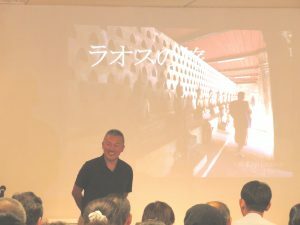 In the first half of the event, Mr. Iwama, a photographer, shared some episodes from his recent trip in Laos and introduced local information by his photo-based presentation. 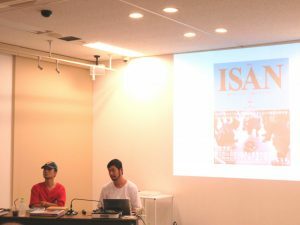 In the latter half of the event, Mr. Utsuki and Takagi, DJ unit Soi48, talked about the history of Isan music and how it has developed to be in the modern market while they introduced the audio source (vinyl) they collected in Isan, Thailand. The Audience enjoyed the insightful information and learned the attraction of the area to deeper their understanding of Laos and Isan.